Hello, spring! 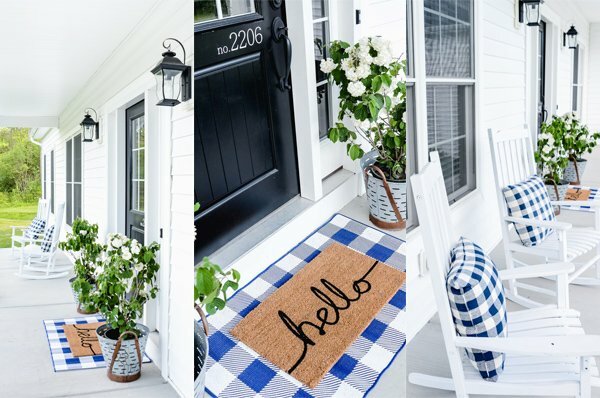 Are you looking for some simple and adorable spring decor ideas? That’s my favorite kind of decor, and I’m always on the lookout for great ideas that are easy to make and incorporate into my home. 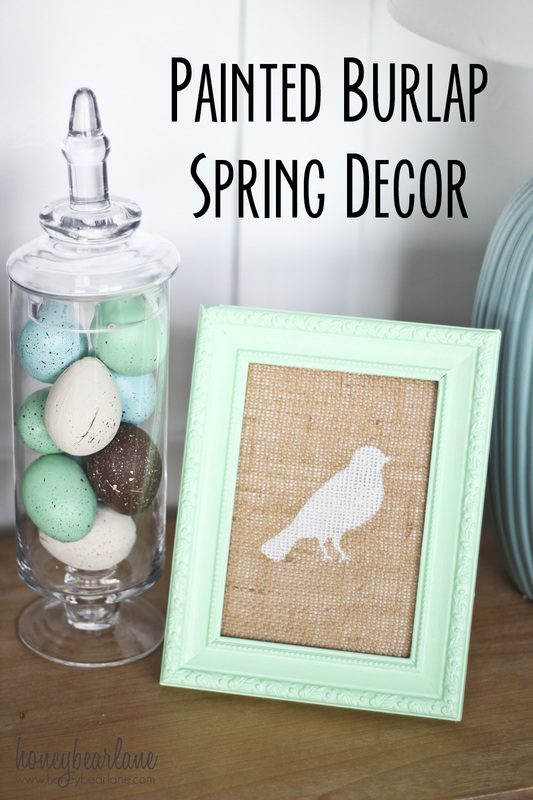 I’ve gathered some of the best DIY spring decor ideas, and wanted to share them with you! I found SO many adorable ideas, with most of them being simple and not taking too much time. My favorite! 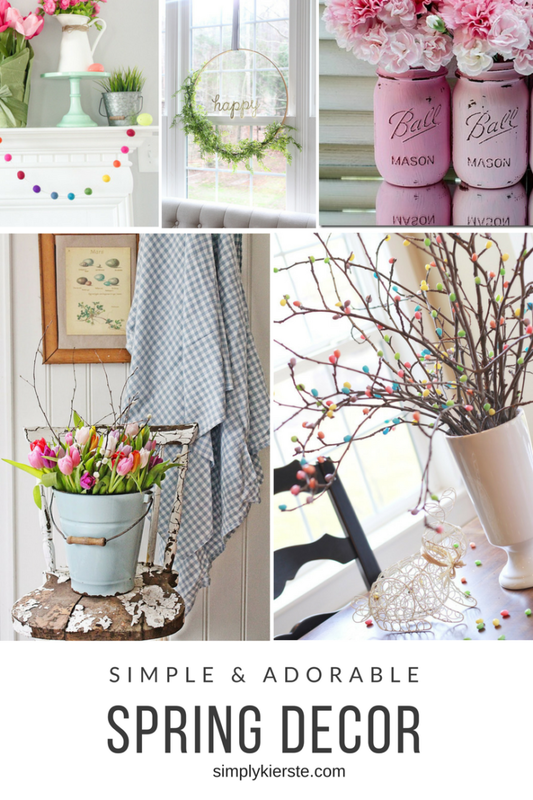 I’m loving all the greenery, pops of pink, mason jars, and even a jelly bean tree. 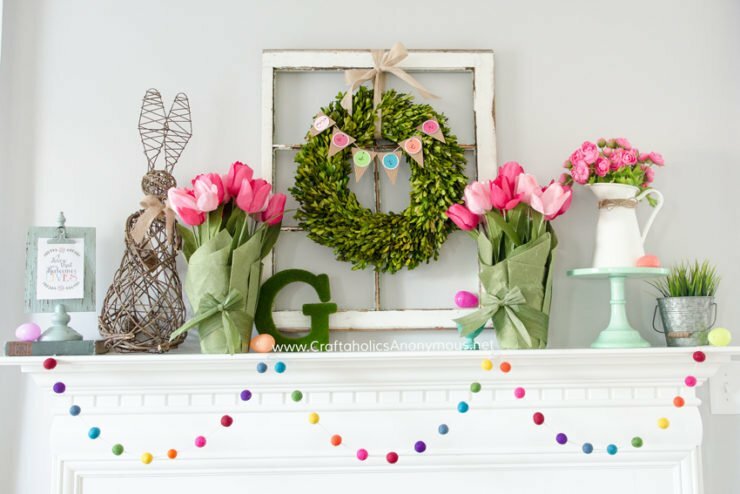 An adorable wreath in 15 minutes? Yes, please! 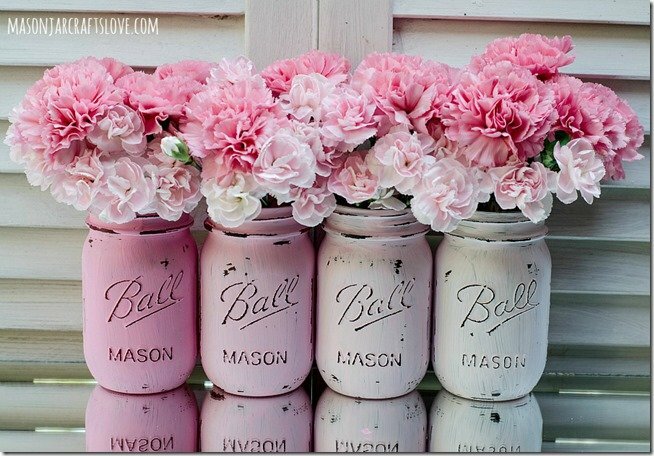 This has to be one of my favorite ways to use mason jars…ever. I love painting them in different colors for the different holidays, but these pink ones are amazing!! LOVE! 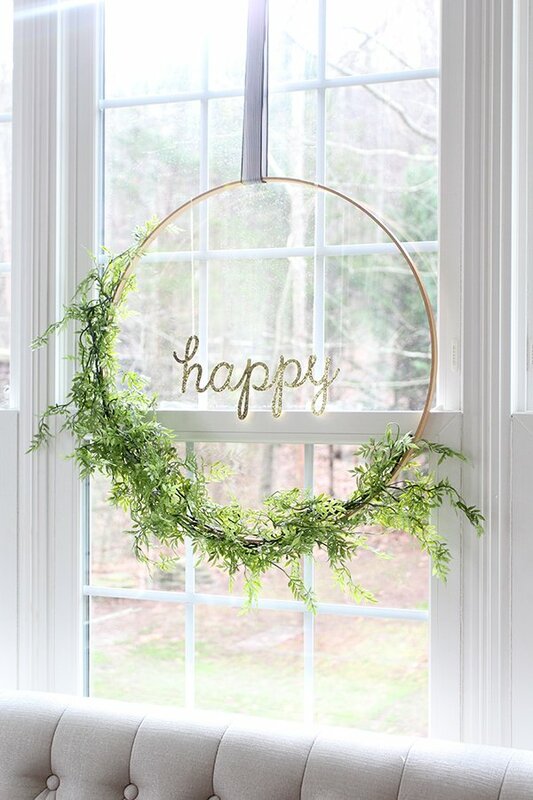 I am in love with this unique wreath idea…and so perfect for spring! I haven’t ever done a felt ball garland before, but I think this year should be the year. 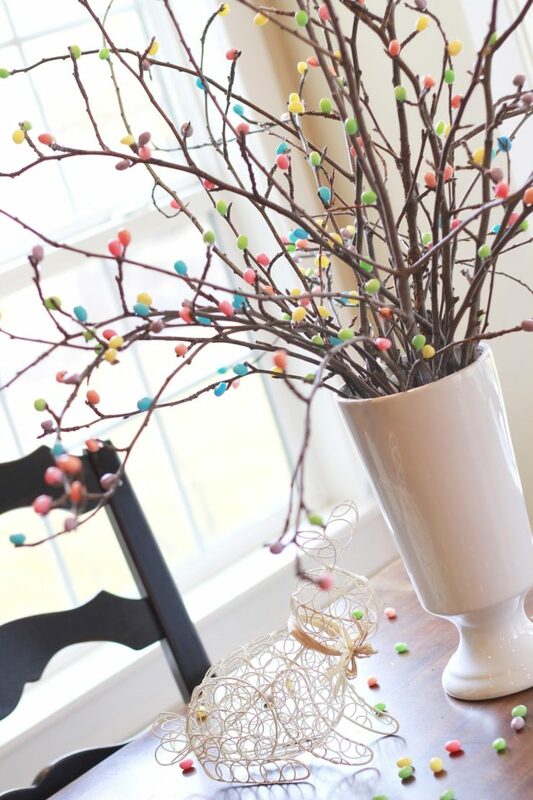 How adorable and clever is this Jelly Bean Tree? LOVE!!! 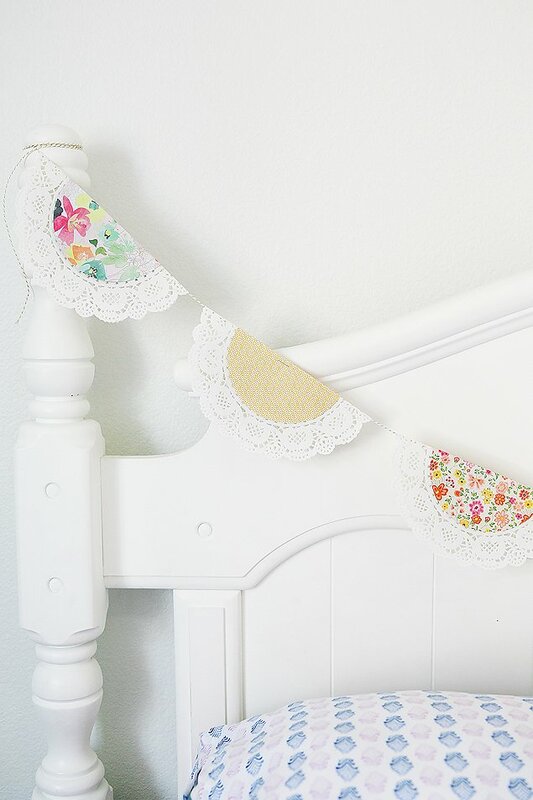 Sweet and simple and perfect for spring. I’m so totally in love with this I can hardly stand it. 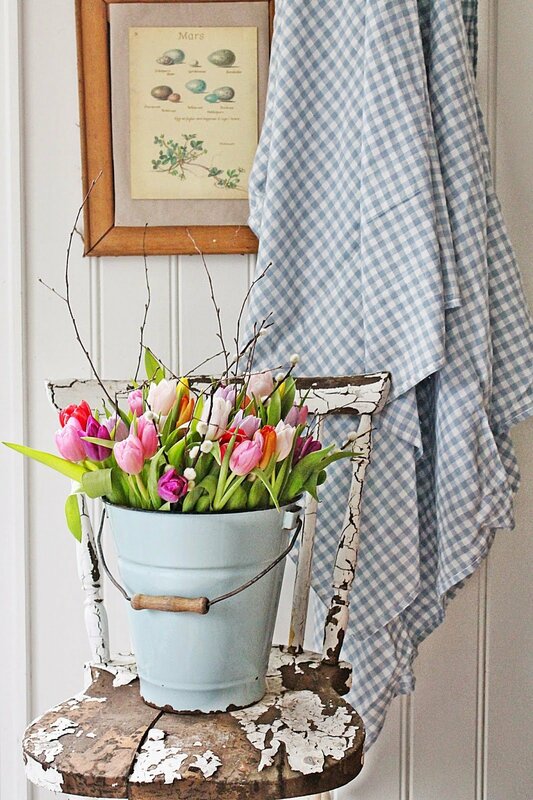 Chippy chair, blue pail, pink tulips…perfection! How adorable is this framed chick? Definitely simple + adorable. These ideas have all totally inspired me, and I can’t wait to get started on some! that “chippy” chair– oh my LOOVE! 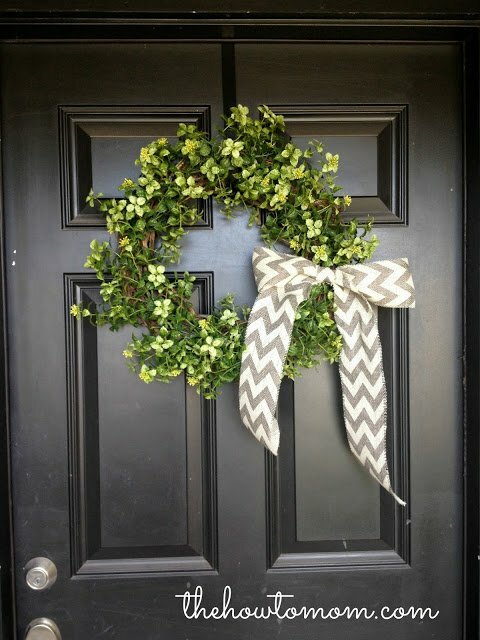 and i am totally diggin’ the gold ring wreath with the greens! great round up! You are SO creative! Thank you for sharing your ideas.